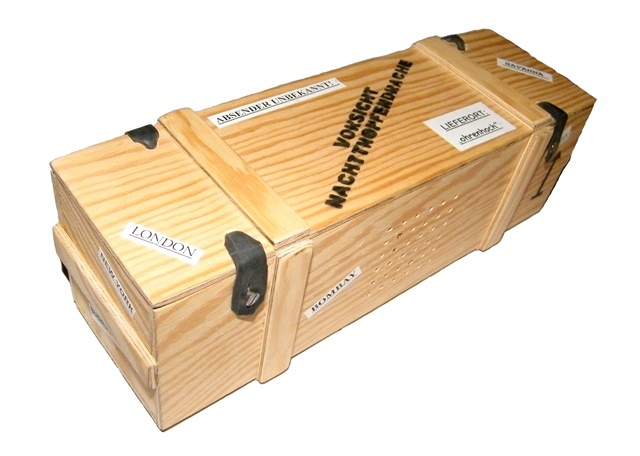 "BABY NACHTTROPFENDRACHE" (BABY NIGHTDRIPSDRAGON) is a NoiseBox, created by the ohrenhoch-Kids in 2008. The (big) originalNIGHTDRIPSDRAGON lives in its box in 'ohrenhoch - the Noise Shop' sincethen. The Baby Nightdripsdragon is perceived by listening: You can hear it in its case,moving, crawling, snorting, snuffling, shuffling, creaking, shouting, and eating. The box for the Baby Nightdripsdragon is hand-made of wood. Each Noise Boxis a unique copy, labelled with a serial number. Inside the Noise Box is an mp3 player with the composition by the ohrenhoch-Kids and Knut Remond. The composition is 34:33 min. The mp3 player isin "loop" mode. It is important and part of the Noise Box that the compositionplays back in loop mode.